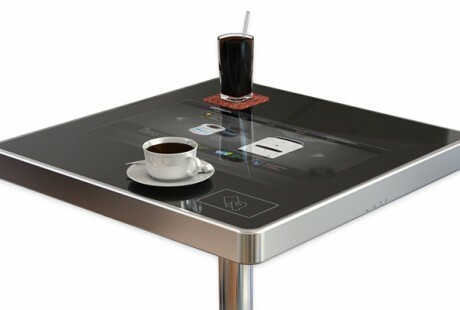 The KioCafe is an interactive dining table with a 22″ multi-touch screen protected under toughened glass. Designed for use in restaurants, coffee shops, staff canteens and cafes, the KioCafe is the solution for those that want to create a unique customer experience and connect with millenials. Imagine customers visiting your restaurant and browsing the menu, placing their orders and paying for their meals with a payment card, all from the comfort of their very own digital table. The possibilities for additional features is completely possible through further development for each business, their systems and their rules. The KioCafe is available in Android or Windows versions, with the ability to bespoke the design, subject to minimum order quantity. Software can be installed to split the screen for more than one user if required. To get pricing and availability for the KioCafe or any of our products, please call us on 0151 8080 180 or contact us via our enquiry form.